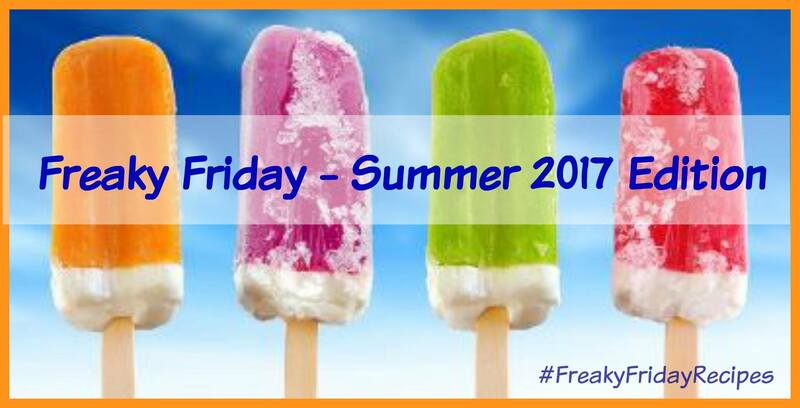 I am so excited to be participating in this year’s Freaky Friday Blog Hop: Summer Edition! This group is the brainchild of my friend, Michaela’s and it is SO MUCH FUN! For those of you that aren’t familiar with Freaky Friday, it is a group of food bloggers that get assigned a secret blog and we get to choose any recipe we want to make from it for our own blogs. Then all of the recipes are revealed at the exact same time and we get to see who had our page and which recipe they selected! It has been a great way for me and my readers to find new blogs to follow, and I feel honored to be a part of it! I am MOST excited about this round because the blog I was assigned was An Affair From The Heart! Michaela is my bloggy besty… She is one of the most wonderful, sincere and hard working people I have ever had the pleasure of meeting! She is such an amazing cook, baker, wife, mom, fur mom and friend. There is never a time when she isn’t volunteering at her kid’s school or at their church. She also happens to be a really fun gift-giver (she gave me the ADORABLE bee tea towel I used in the photos for this recipe!) and one of the funniest people I have ever known! Her blog is one of my favorites to cook from because we like a LOT of the same types of foods. She knows how much I love to do Chinese Take Out Fake Out recipes at home and she RAVED about her P.F. 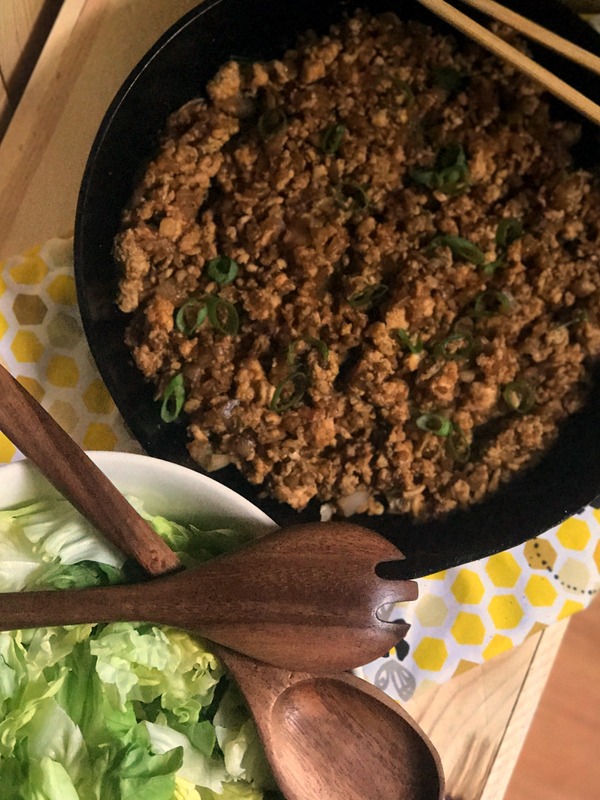 Chang’s Lettuce Wrap Salad a few months ago when she made it. So when I drew her name for this event, I IMMEDIATELY knew which recipe I was going to make. Italian Wonder Pot – This is actually one of my moms favorite recipes! She makes it all the time! Let me talk to y’all about this salad. OH MY WORD! I have never been to P.F. Chang’s but their copycat Mongolian Beef is one of my most popular recipes. (Click here for stove top and click here for the instant pot version). 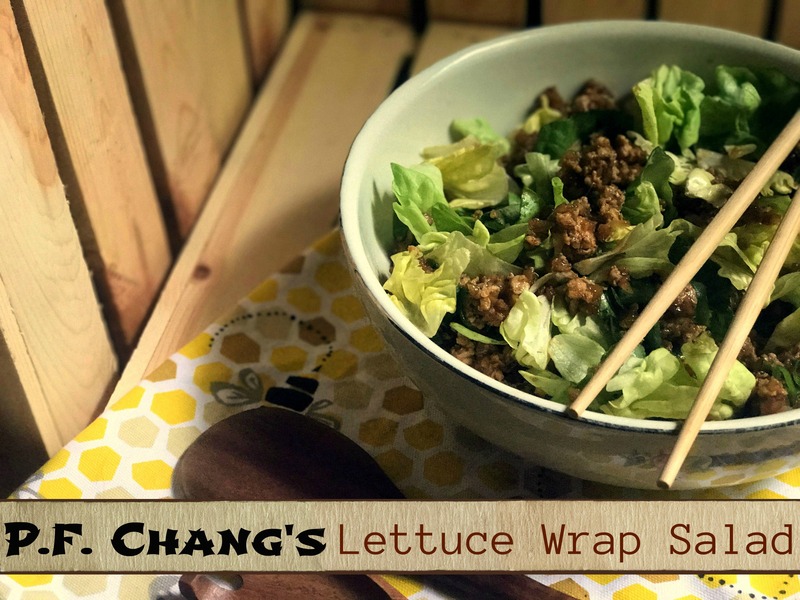 Michaela said this Lettuce Wrap Salad is all of the deliciousness of the Famous lettuce wraps at PF Chang’s but so much easier to prepare and eat! She was right! As soon as I started browning the chicken and adding the spices and sauces, I KNEW this one was a winner. OH MY GOSH it made my whole house smell AMAZING. My daughter and I had this for lunch and we fought over the leftovers the next day LOL! The flavors of Hoisin, soy sauce, ginger and garlic and the crunch of the lettuce, onions and water chestnuts makes this salad an exceptional meal that everyone will enjoy. I hope you all try this recipe and love it as much as we do! Heat skillet over medium high heat. Once hot, add the vegetable oil and sesame oil. Brown chicken and add the onions when it is halfway done. Add the garlic the last minute. Next, stir in the hoison sauce, soy sauce, rice wine vinegar, Sriracha, and water chestnuts. Allow to simmer for 5 minutes. Add salt and pepper to taste and sprinkle with green onions. I like to allow the meat mixture to cool for 5 - 10 minutes to keep the lettuce from wilting. Pour bag of lettuce in a big bowl. Top with meat mixture, and toss. Serve immediately. ENJOY!!!! Check out more DELICIOUS Freaky Friday Recipes from my blogger friends below! Can’t wait to try this. One of Murri’s very favorite things! Oh Wow!!! This looks super yummy!!!! I LOVE PF Changs and their lettuce wraps. I will definitely be trying these! I have been on such an Asia flavors kick lately so this is pretty perfect timing! Really excited to make this recipe this week! I love lettuce wraps, but they can be so messy to eat, so I love that this is in salad form! It sounds absolutely delicious! I love their lettuce wraps and can only imagine how delicious this salad is! 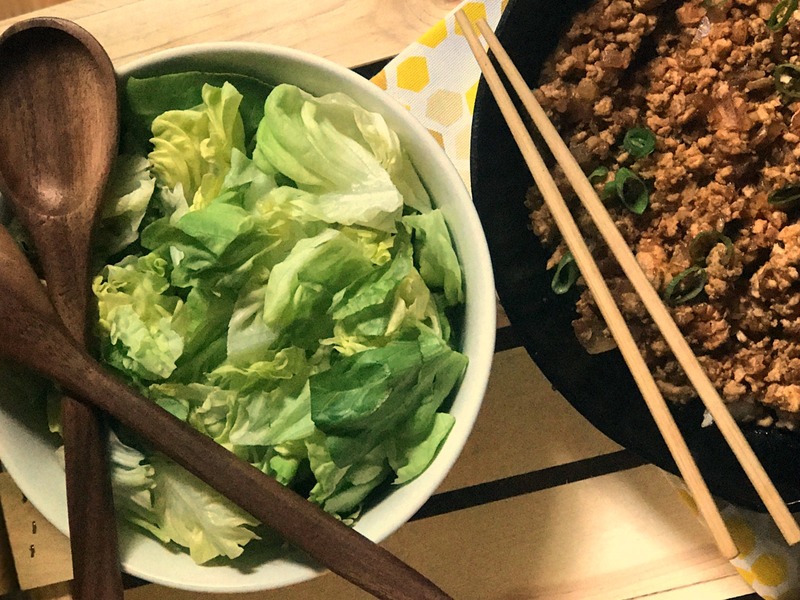 Those lettuce wraps are delicious – I love the idea of turning it into a salad!! I have become recently obsessed with lettuce wraps but I have to say, this recipe sounds to be the best I have seen. Fun, delicious and easy – what’s not to love?! Great job, once again my friend!!! 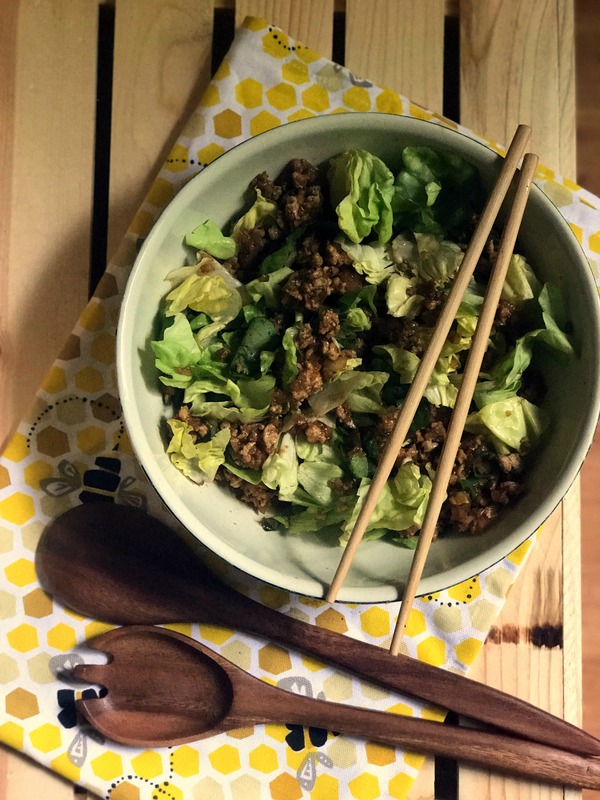 Their lettuce wraps are SO good, must try this! I make the wraps at home all the time – they are so yummy! Love the idea of a salad though, what a wonderful meal!! I haven’t been to PF Changs either but I definitely love lettuce wraps! This is a great recipe! I definitely need to try it! Now this is my kind of dinner, looks simply delicious! I’m eating salads almost everyday for lunch right now and I cannot wait to try this one! All of the flavors that I love! I’ll take a big bowl of this salad thank you! Looks amazing!!! I like PF Changs too, but there isn’t one near us so I have only been a handful of times. Now I can make one of their yummy recipes at home!